I don't want to live in a world where BMW doesn't offer a small pickup. Roughly 80% of an Australian motor journalist's job is pressuring car companies to start selling utes — or, if they already do, to start selling a wider range of utes. And 80% of the job of whoever car companies tell to talk to Australian motor journalists is to explain, a thousand times over, that they're not going to launch a ute, come on now, be reasonable. Apparently, it all happened again at the Paris Motor Show. At a media roundtable that some Australians were evidently invited to, BMW's development chief Klaus Fröhlich said that BMW definitely isn't going to make a pickup any time soon. Presumably he wasn't the one who brought that particular subject up. But let me tell you right now that this Klaus Fröhlich guy is clearly a right flaming drongo and here's why. Well, it does. Or at least BMW's Hendrik von Kuenheim thinks it does. It's "a disappointment". "Cheap". "Plasticky". He's not a big fan, basically. The rules of talking the talk vis-à-vis walking the walk mean BMW is now pretty much obligated to enter the ute game. When has it ever been OK to call out your rivals without even trying to go one better? Did Barrie Robran badmouth Carlton, then pull out of the 1972 club championship final? (Full disclosure: I have no idea what Aussie rules is.) No. No he didn't. Step up to the plate, BMW. Or the crease, I guess, because that's more cricket-y. We all know BMW likes to say it's in the game of producing performance vehicles, not utility vehicles, but there are enough X-somethings floating around now for us to know that isn't true. Like everybody else, BMW is selling cars that might actually be useful for people. So what's the point of advertising just how much storage space there is in the back of the X5 — and how much easier that will make your life if you're into skiing or playing golf — if BMW isn't ready to launch a pickup? You can fit way more in one of them, and there are a lot of people out there regularly hauling round fridges, oversized folk art, oddly shaped branches or whatever else it is people put in their pickups. How about making life easier for honest cobbers like that once in a while, eh? It's not just Aussies who love utes. Kiwis do, too, and as everybody knows they're not Australian in the slightest. South Africa has also seen the bakkie light, so they'd also be on board with the idea. As would the whole of Latin America, where the usually pretty lackluster FCA is cleaning up selling compact pickups like the Brazilian-made Fiat Toro. There's a clear north-south divide going on here. Klaus Fröhlich says there isn't a big enough market for small luxury pickups, and that might be true in Europe, but push past the equator and the Southern Hemisphere is collectively crying out for one. 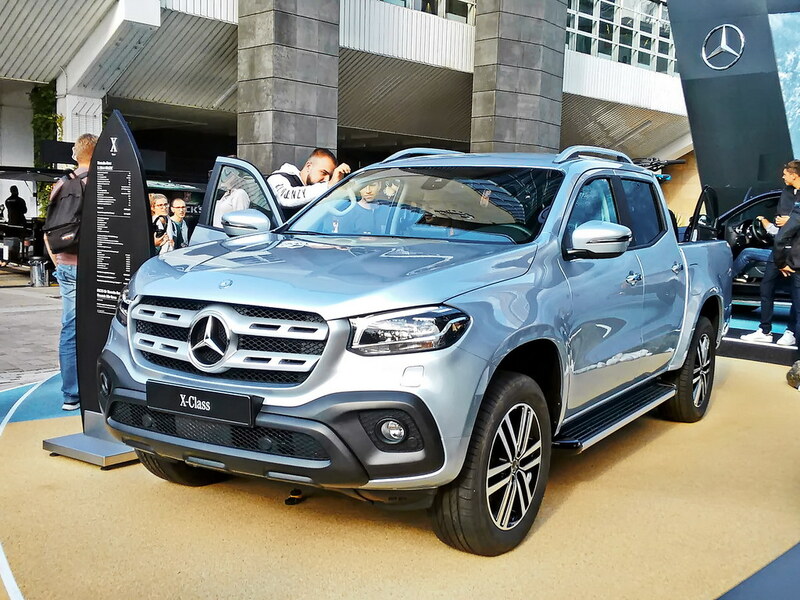 The Ford Ranger, Toyota Hilux and the Chevy Colorado (under various names) are among the best selling vehicles in Australia, New Zealand, South Africa, Brazil, Argentina etc. etc., and it's about time BMW threw a bone to everybody on the bottom of the planet, strewth. Did I say South Africa likes bakkies? Well, that's convenient, because BMW already has the Rosslyn Plant in Pretoria, and it's been churning out BMWs for over 40 years. After ending production of the 3 Series, the facility is now dedicated to the X3. Now, I'm not a mechanical engineer or anything like that, but I'm pretty sure that any factory capable of producing large numbers of SUVs would also be capable of producing large numbers of compact pickups. So we've got a factory, perfectly positioned between Latin America and Oceania, with everything needed to produce a car that Latin America, South Africa and Oceania are going to lap up. The stars align, and they look a hell of a lot like the Southern Cross. Seriously. This is never going to stop otherwise. Never. They'll just keep asking. Over and over again. Forever.